To raise awareness of safety in the home, we held their first Fire Safety Awareness Week over May half term from 28th of May until the 1st of June. During the week, there were number of exciting activities undertaken around the business and in the community: including two local fire station trips. The team spent their time encouraging customers to think about fire prevention and how to save a life, in the event of one. Ocean Group’s Head of Health, Safety & Environment, Ralph Garth and the Tenant Involvement team worked closely with the Cornwall Fire and Rescue Service to run a variety of activities to get the message out there. 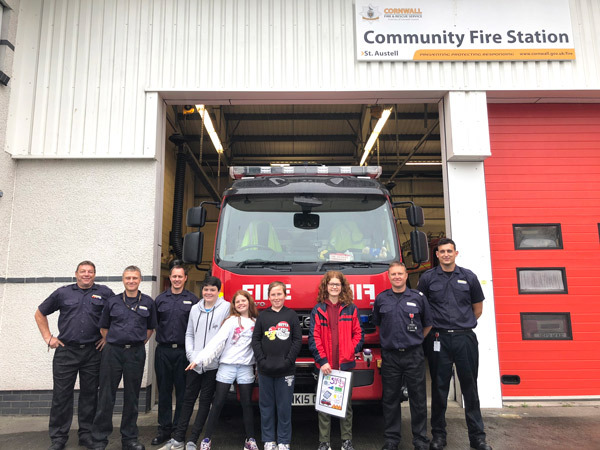 We teamed up with Cornwall Fire Service to run fun events at St Austell and Newquay fire stations; giving families the opportunity to go behind the scenes and understand the incredible work the Fire Service does. Jewson, one of our key supply chain partners, also kindly donated over 60 fire blankets to be distributed to our customers over the coming weeks. As a result of the positive outcome of the week, we intend to add this campaign into our calendar as a permanent fixture every May half term. Watch this space for next year’s Fire Safety Awareness Week!